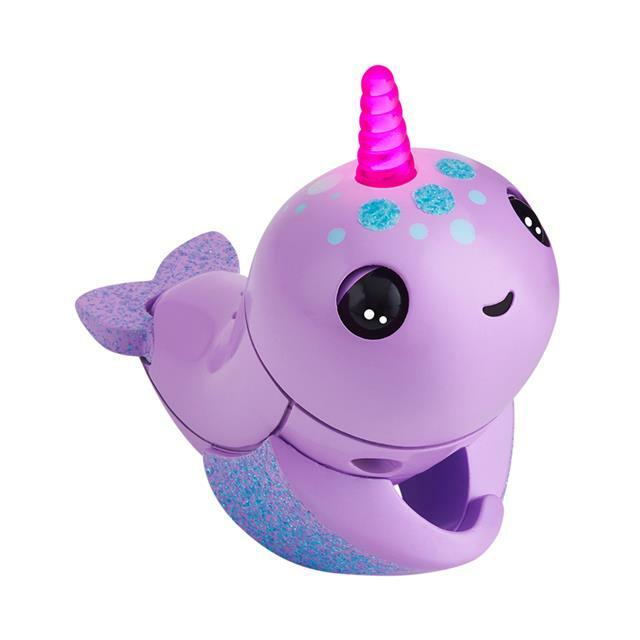 Meet the new Fingerlings Narwhals! 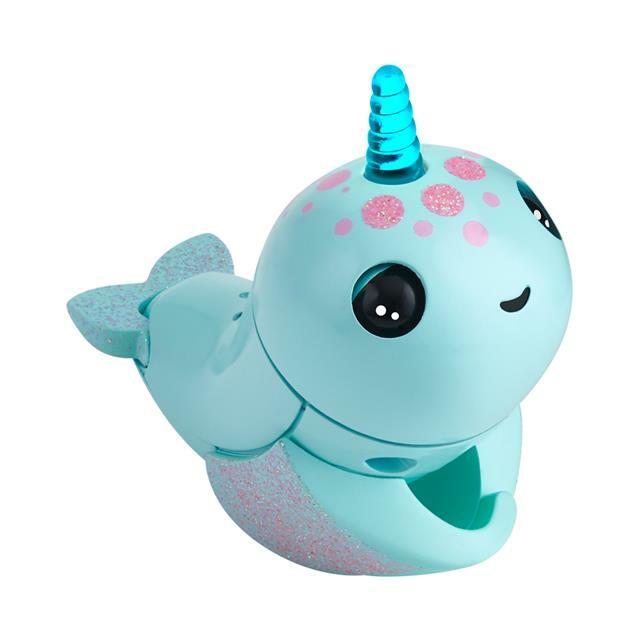 These adorable unicorns of the sea have many ways to play. 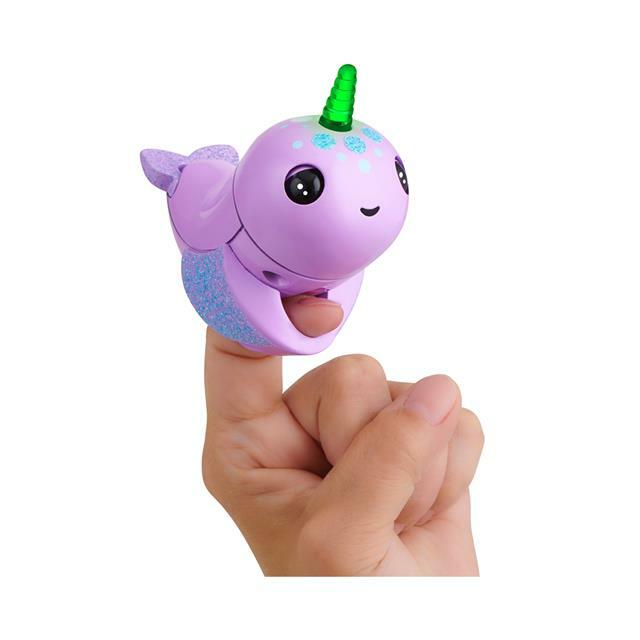 Have your Narwhal surf air waves with the new magic motion sensors. 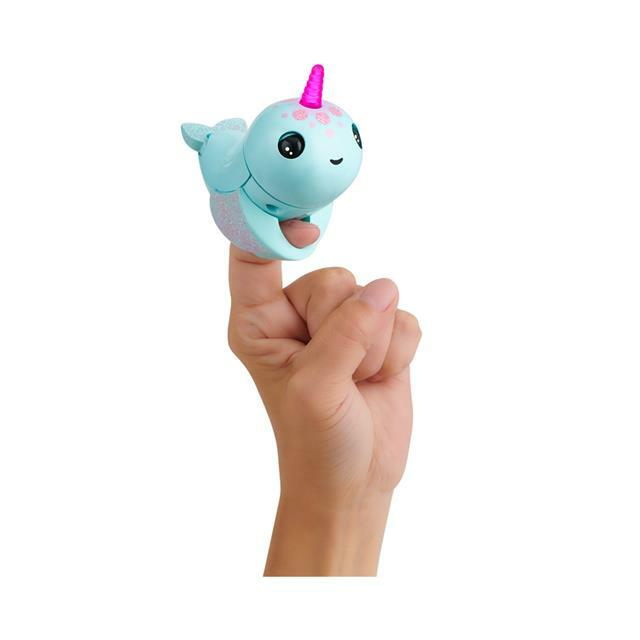 These Narwhals also have a special mood horn that will light up different colours in reaction to interaction. 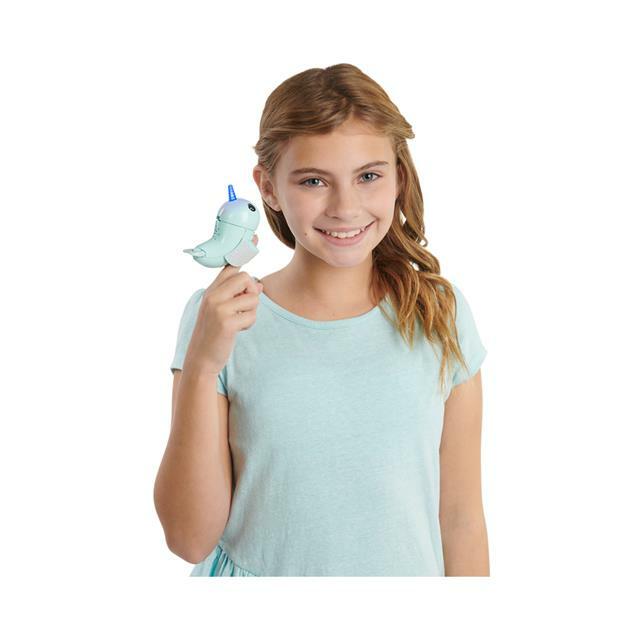 When you pet them, Narwhals will flap their tails and blink their eyes to tell you how they're feeling. 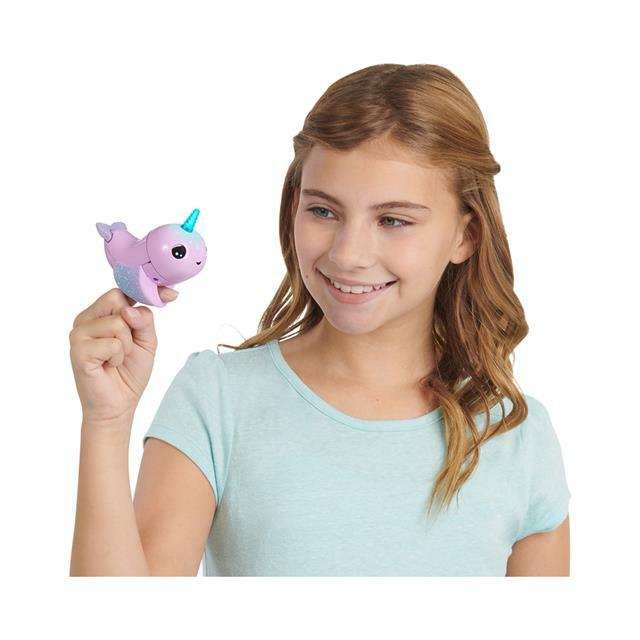 The Narwhals will also give you Magical Kisses that get bigger and louder the longer you press their faces to your cheek.